Though they spent their first few years in business in Indianapolis on the other side of Meridian, at 17-23 West Washington, in 1923 they moved to a building they had constructed on the southwest corner of Washington and Pennsylvania Streets. 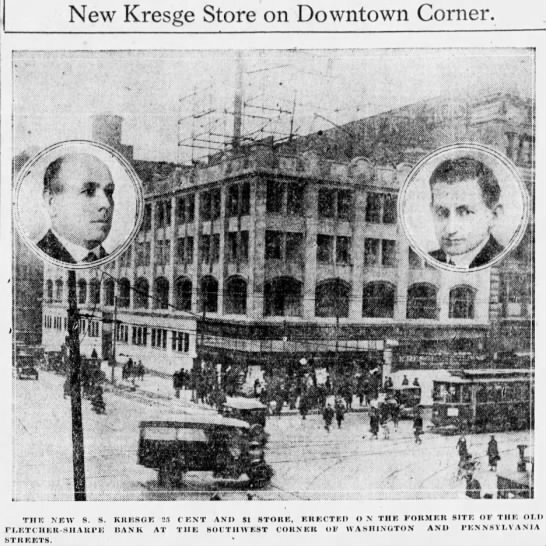 Notable: Founded by Sebastian Spering Kresge, the company began as a five and dime in Detroit Michigan in 1911. In fifty years, the company grew to over 750 stores, putting them in third place behind Woolworth and Grant’s in the variety store market segment. Despite the large portfolio of stores, the company remained primarily an east coast and Midwestern operation. 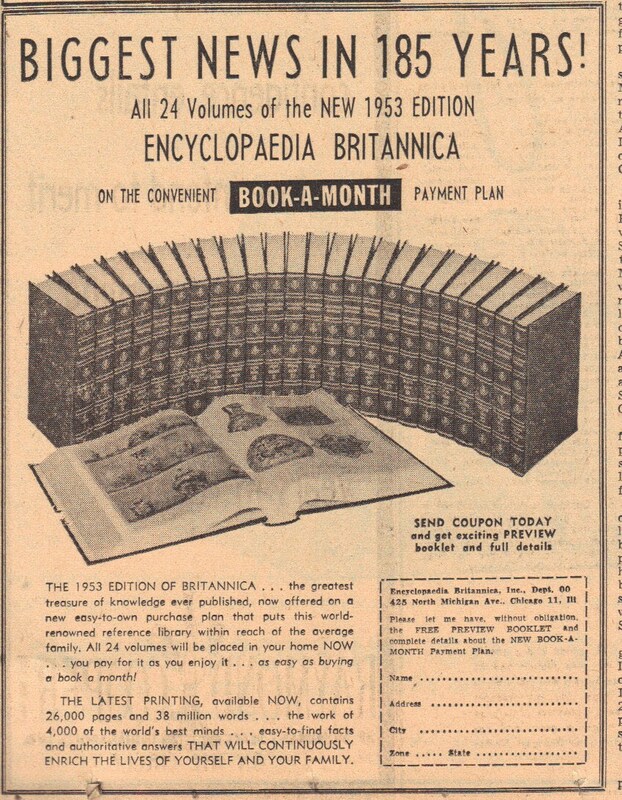 This changed in 1962. The decline of the variety store began as early as 1957. 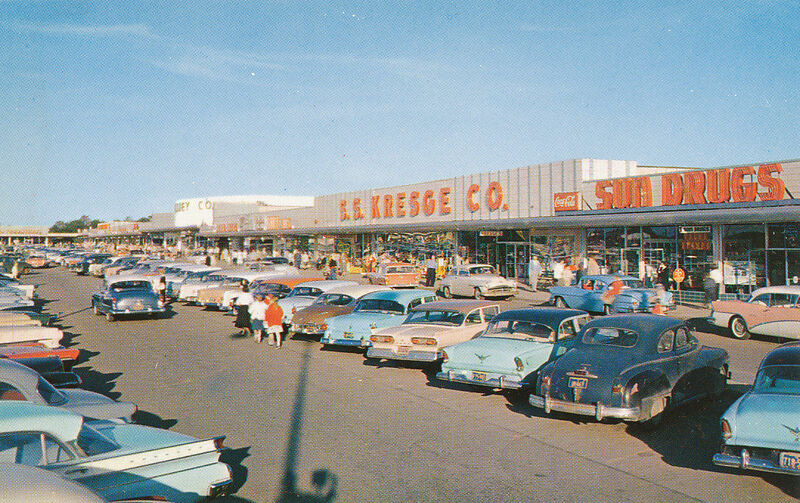 Kresge’s came up with a new concept: large stores in suburban locations with plenty of parking. Their new idea eventually became a household name. The first K-Mart opened in 1962 in the San Fernando Valley. By the end of the year, there were eighteen. K-Mart grew to be the second largest retailer in the nation behind Sears. And the “S.S. Kresge Company” officially changed their name to “K-Mart Corporation” in 1977. The remaining Kresge five-and-dimes were sold in 1987. K-Mart is still limping along today, however store closures are frequent, the locations are outdated and often located in declining areas, and fierce competition have put them in the back of the mind of many American shoppers. Who knows how much longer they may last? 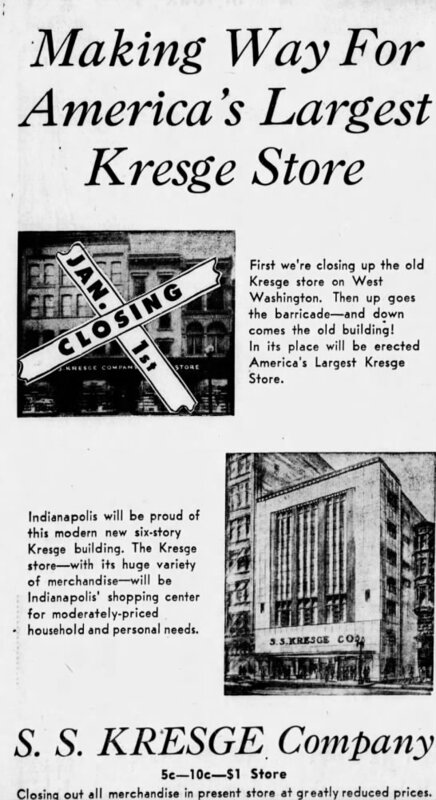 Additionally: In the 1930’s through World War II, two Kresge stores operated downtown, the other one being located at 17 West Washington. In 1948, the company cleared the site on West Washington to construct what became the largest store in the company. The large art-deco building located directly west of L.S. 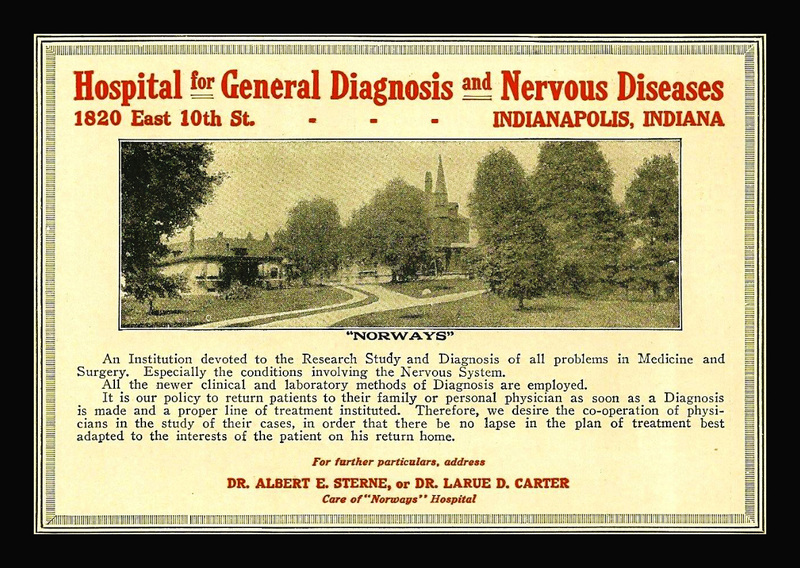 Ayres remained open until 1975. The wrecking ball arrived in the early 1990s to make way for the Circle Center Mall. The building at 43 East Washington served as a home for the Wilking Music Company in the 1970’s and today houses the Indianapolis Business Journal and Morton’s Steakhouse. PreviousSunday Ads: Goodbye City Life!